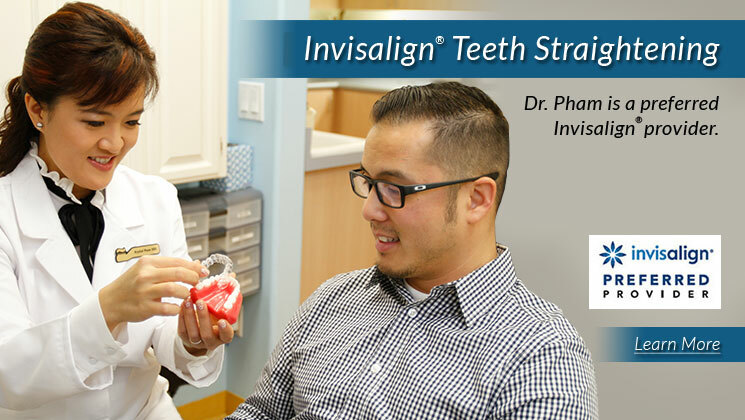 Oceanic Dental is the result of Dr. Krystal Pham’s vision of a dental practice that is relaxing to be in and offers most of the dental services patients could need. 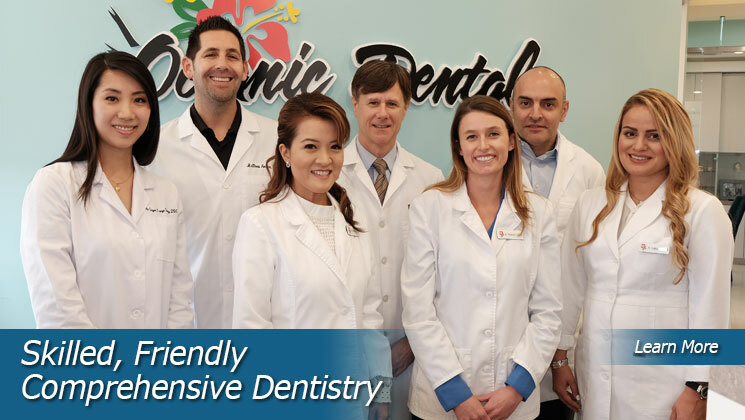 In order to provide truly comprehensive dental services, Dr. Pham recognized that she would need a team of dentists who would each focus on different aspects of dentistry, and she invited four excellent and diverse dentists to join her at Oceanic Dental. 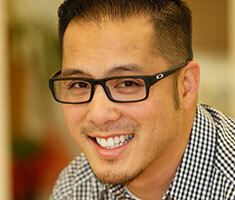 The result: you get highly skilled care for your specific dental needs. 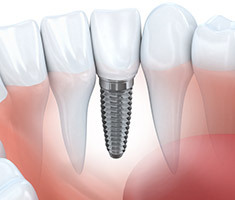 We use state-of-the-art digital X-rays to accurately diagnose any problem areas. 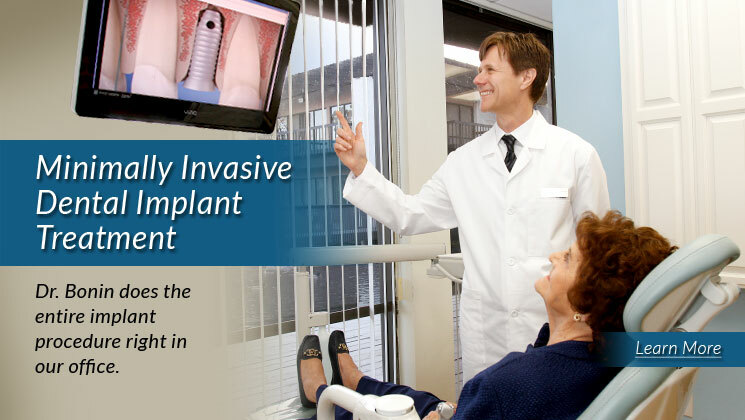 We use lasers for gentle, non-surgical treatment and to assist in fast healing; and digital X-rays, digital panoramic X-rays and intraoral photography to get a detailed look inside your mouth for accurate diagnosis and treatment. Read about the technology we have. Our patients often remark on how friendly our staff and doctors are. We are a happy team that gets along well. 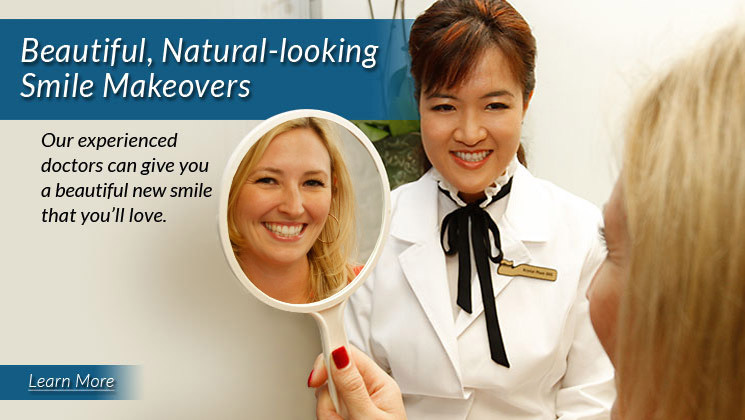 We share the goal of giving friendly and efficient service and helping our patients feel comfortable and at ease. An important part of feeling comfortable about your treatment is understanding exactly what is going to happen. 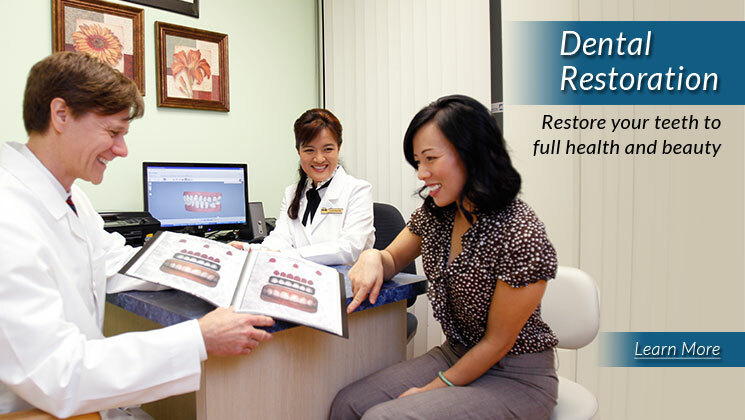 Our doctors will clearly explain your treatment, and keep you informed every step of the way. They will answer your questions and address any concerns you have. We make sure that you are comfortable and relaxed at all times. We chose a location and designed our practice with your relaxation in mind. Our treatment rooms look out onto a small lake with ducks and greenery and our décor has an aesthetic and soothing oriental motif. We use technology to keep your treatment gentle, and we offer various comfort amenities, including movies and music. 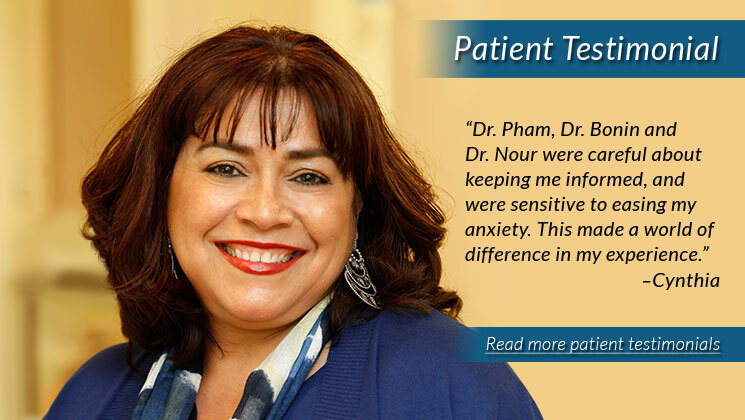 Our doctors and staff are reassuring and calming, and attentive to your needs. 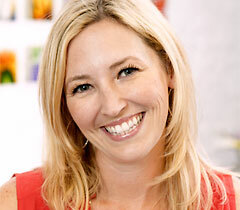 One of our friendly team members will guide you on your visit to our office. 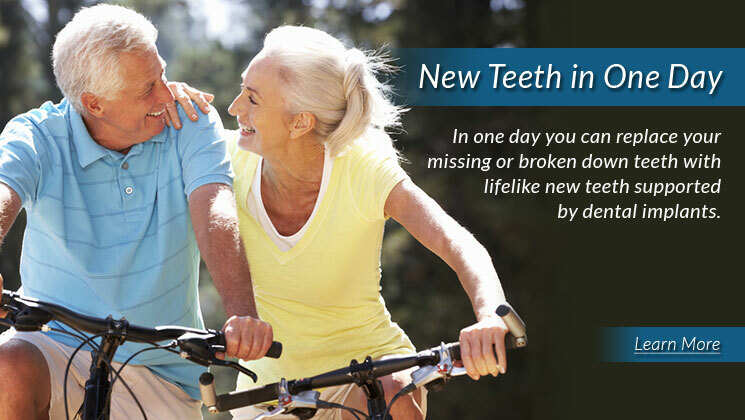 We look forward to being able to help you with your dental health and smile. We offer many payment and financing options to make it easy for you to get the treatment that you and your loved ones need. 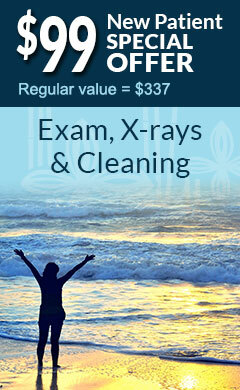 We also have special offers for free consultations with one of our knowledgeable doctors.